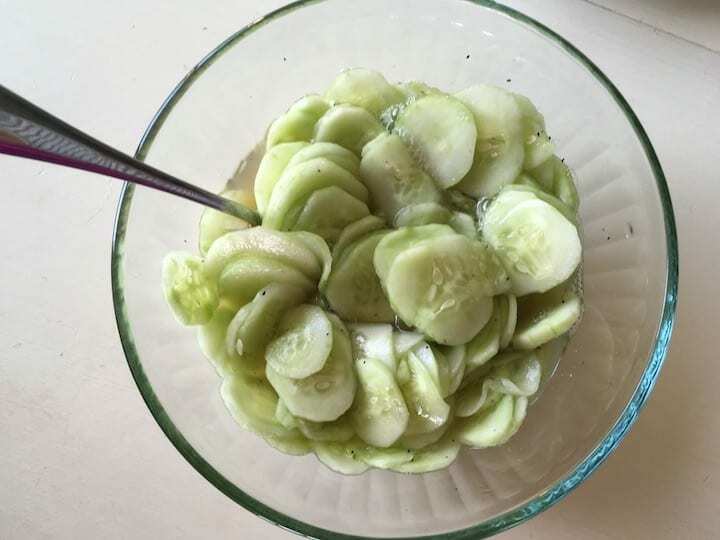 Joyce and I have been reminiscing about summer days growing up on the farm – bailing hay, riding bike down gravel roads to visit the neighbors, 4-H garden tours, eating fresh tomatoes and cucumber salad…Both of us remember our moms making this cucumber salad during the summer. It was an easy salad that could be made rather quickly with few ingredients and it made a good side dish with any meal. I remember my mom slicing cucumbers into a bowl, sprinkling them with salt and letting it sit on the table with a plate resting on top of the bowl for an hour or so before we would be eating. 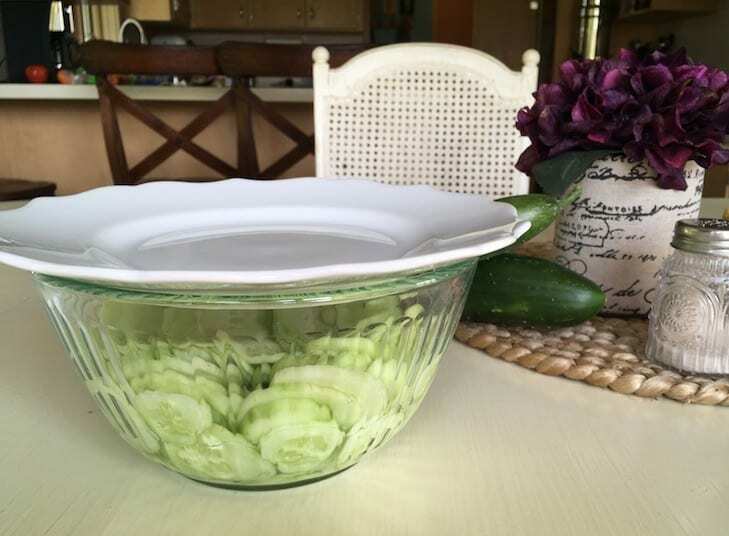 Since it seems to be a classic favorite served on many farm tables over the years, we decided to recreate it and call it Mom’s Cucumber Salad. Place cucumbers in a deep bowl. Sprinkle with salt and stir. Cover bowl with a small plate and let stand at room temperature about an hour. Drain. Mix remaining ingredients and pour over cucumbers. Cover and refrigerate before serving.